 Shoe Repair and Beyond is a a complete repair shop which is family owned and operated. We offer top quality services on all the leading designer brands, for clothing, shoes, purses, and accessories. We can make your old shoes and handbags look brand new again! Our expert tailors can make your garments fit like they were made just for you. Shoe repair & beyond also provides orthopedic work such has shoe build ups and renewing orthotics inserts. Some of our other services include luggage repairs, scissors and knife sharpening, key making and we also offer a variety of shoe care and shoe comfort products. We are always happy to serve you, stop by or make an appointment today. Dont forget to download our App at the Apple store or Google Play today for additional discounts.